My older sister gave me this recipe years ago, and I think it is the perfect recipe for leftover artichoke hearts that I have after making stuffed artichoke. You’ll like it, too, because it’s simple, fast, and inexpensive. The trick is to use what you have on hand – don’t go shopping for this recipe. It tastes great even with adjustments. I’m writing the recipe with the primary ingredients, but you can use substitutions as desired. 1 lb string beans Hint: If you use fresh green beans, blanche them first. Preheat the oven to 350 degrees. On the stove, heat the butter over a medium heat. Add the onions; sauté until soft, 3-5 minutes. 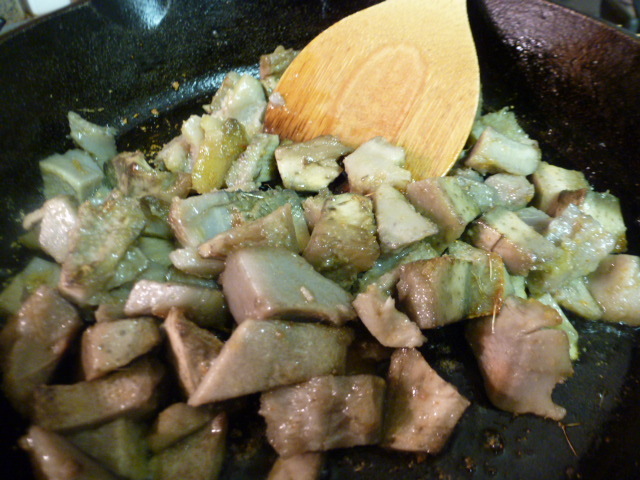 Add the garlic and artichoke; sauté until the artichoke begins to brown, about 3 minutes. 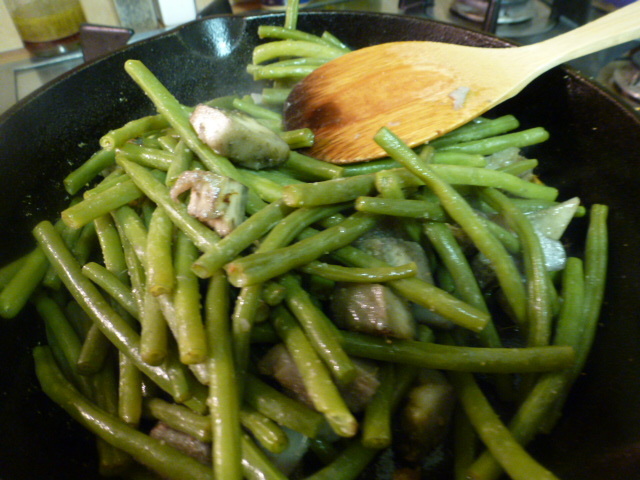 Add the string beans; sauté until warm, about 3 minutes. Add the bread crumbs, Parmesan cheese, salt, and pepper. Mix and sauté for about 3 minutes. 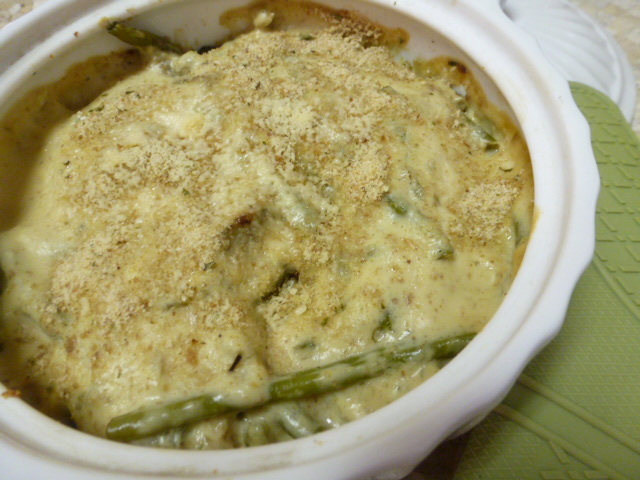 Pour into a 3-quart casserole dish and set aside. 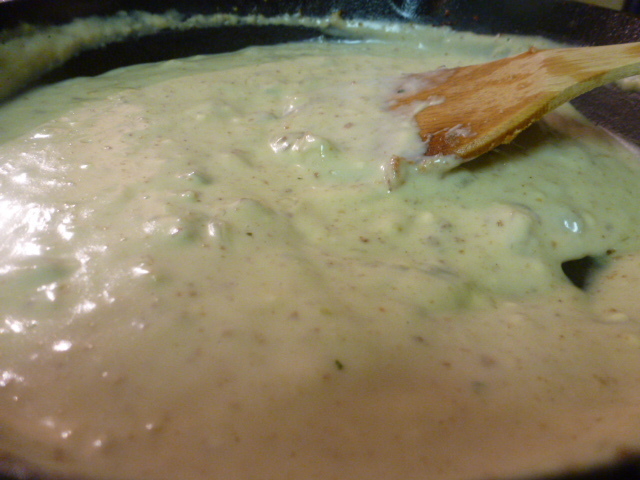 add the 2 T flour, and sauté until blended, about 1 minute. Then add the cup of milk and blend until the flour lumps dissolve. 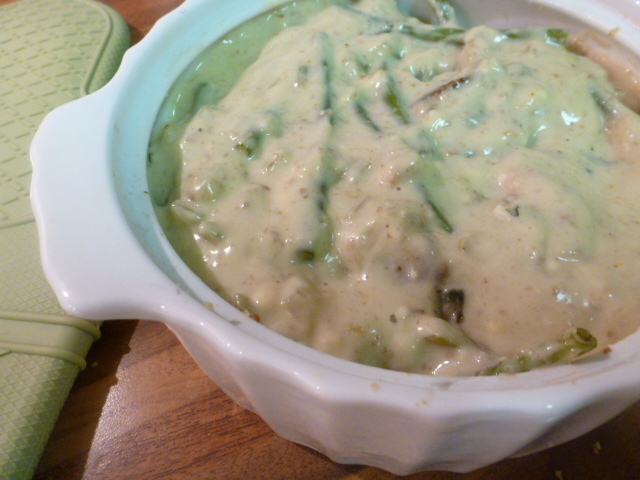 Pour the milk mixture into the casserole dish, covering the beans and artichoke. 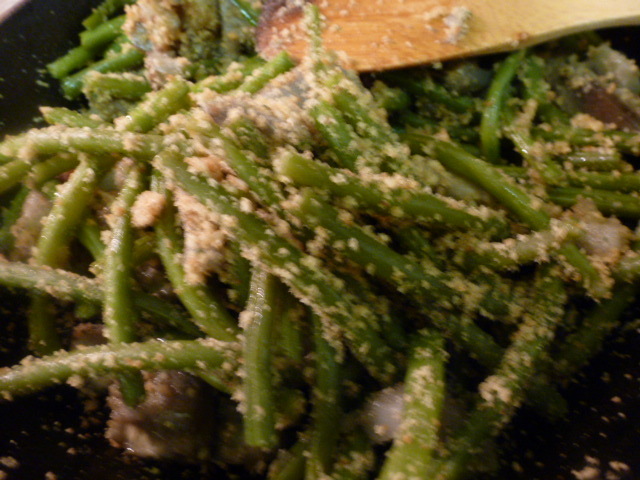 Sprinkle on a bit more bread crumbs and parmesan cheese. Remove cover and bake for about 10 more minutes to allow the crumbs to brown a bit. Serve with a lemon wedge – the flavors are enhanced with a squeeze or two of lemon juice. Bon appétit! well, have leftover artichokes from a salad, have some canned green beans, so guess what I am making tonight??? YUM!